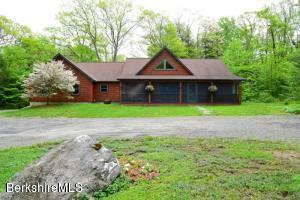 This beautifully conceived, contemporary log home is set on 5 serene acres. Lovely screened front porch welcomes you. The kitchen with granite counters, farm sink, cherry cabinets, Jenn Air stove and stainless steel appliances is open to the dining area. Great Room with two seating areas and cathedral ceilings is anchored by massive two-sided stone fireplace. Pine and tile floors with radiant heat throughout -- including the two-car garage! Lovely grounds feature a pond fed by the overflowing well, tree house, and endless peace and quiet. 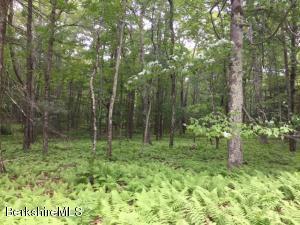 13.95 acres on East Street in Mount Washington. Use as one large parcel or potentially divide into 3 separate parcels. Property contains 640 feet of frontage. Broadband internet is available.